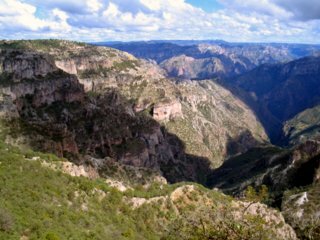 It is possible to take a train along the west side of the canyon heading from Los Mochis to Chihuahua. First and second class trains depart daily from Los Mochis. The first class train (la primera express) departs Los Mochis train station at 6am and the second class train departs at 7 am. There is only one train of each class every day. 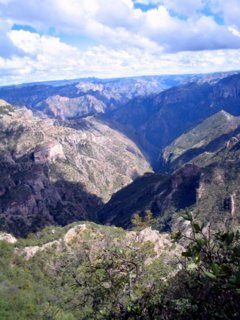 Passengers are allowed to get off the train for 10-15 minuets in Divisadero to take in the breath taking view of the canyon. 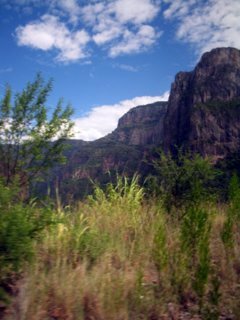 The trip from Los Mochis to Chihuahua is around 14 hours by first class while the second class train is at least two hours longer. Both trains tend to be late especially the second class train which can run three to four hours late. The second class train makes more stops in small villages than the first class. First class passengers can get off the train before their final destination and then get back on the train another day and continue to their final destination. Second class passengers on the other hand must buy a ticket for every trip. Tickets can be bought in the morning an hour or two before departure, but it is suggested to have advance ticket during busy times. Tickets can be bought a day in advance in Los Mochis at the Viajes Flamingo travel agency at the Hotel Santa Anita. 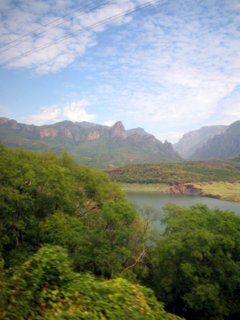 The views from the train of the Copper Canyon and the land surrounding it are stunning, but he best views are between Los Mochis and Creel. Both the 1st and 2nd class trains have air conditioning and you are able to step outside between the cars for a breath of fresh air in order to take great photos. 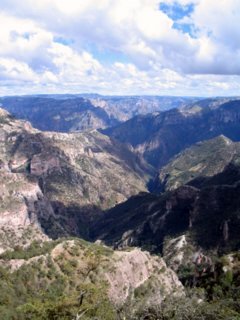 There are numerous little towns (pueblos) that the train passes through that you are able to visit although many don’t have stores and limited accommodations. There is one hotel in Divisadero that is rather expensive costing $180-210 USD. In Creel there is a small variety of hotels. One worth noting is Casa Margarita costing $23 USD including supper and breakfast (there are also some upper scale hotels). Most hotels operate a tour service as well, for thier guests and non guests. Creel would have to be the popular destination with lots to do and a variety of accommodations. 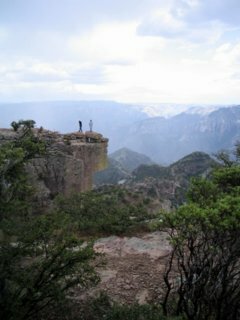 From here you can take a bus to the small town of Devisadero to experience some of the local Tarahumara handicrafts at the small market, some great Mexican food (you have to try the gorillas), good views of the canyon and great walks. The indigenous Tarahumara people are very colourful and one of their most famous handicrafts are different styles of woven baskets which you can see being made at the market. 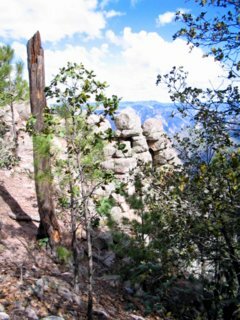 Divisadero lies on the upper ridge of the canyon and looks out over the valley. Creel is a small hill town surrounded by mountains. There are many things to do in Creel but only really one way to do them, and that is to hire a guide. You can visit the amazing rock formations in the different valleys (Valle de los Monjes-Valley of the Erect Penises, Valley of the toads and Valley of the Mushrooms). 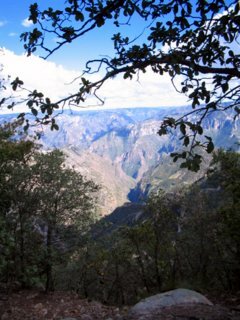 You can go camping by the lake or you can take walks deep down into the canyon where you can find hot springs and amazing wildlife, go bike riding, horse riding, hire a jeep and see waterfalls. 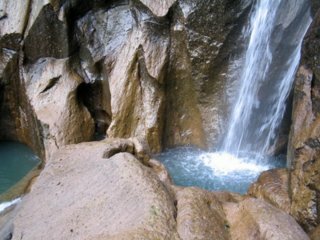 If you get the opportunity, visit Batopilas along with the Cascada de Basaseachi. Both are gorgeous with natural beauty.